When you fall in love I believe it can be traced back to a moment of realization. A look, experience or situation that causes you to register the thought “I’m in love”. That’s what happened to me during my trip to Zimbabwe. I was there doing some volunteer work and photography for a rhino dehorning initiative. We arrived late in the evening after a grueling 22-hour flight and were greeted at the airport by the team that we would be working with in the coming week. I ended up staying at the home of one the volunteers that also manages a local lion park. His park is beautiful and while waiting for National Parks to clear our final permits prior to the operation, I spent time enjoying the lion park, seeing the big cats and going on beautiful scenic drives with Anthony. Anthony, also known to us as “Ant”, has the life I could imagine myself having. In fact, I’m truly jealous! His daily routine is full of excitement and crazy animal adventures, in addition to, the challenge of running a wildlife park. The next morning, as luck would have it, we were invited to go along on one of Ant’s many adventures. He had been asked to assist a local company with capturing and relocating a heard of zebras. We had just rounded up the first group of zebra when Ant received a call from the park. I could tell the call was serious and after his hanging up, he motioned us to the truck and told us he had an urgent issue that he needed to attend to. Sometimes the most unexpected things can happen, and this was a 9.5 on a scale of 1-10. A female white lion cub had been born. This was a surprise because the Lion Park is not a breeding facility and all the lionesses are on birth control. She had been born to a very young mother named Lola who was due to be implanted with birth control later that month. With such a short gestation period of just three months, everyone was in shock over the cubs arrival. No one there knew Lola was pregnant because no one had seen the couple breed and both lions were technically very young. There are a lot of rules and regulations around dealing with wild animals and I could tell this would be causing Ant a lot of phone calls and explanations, in addition to, the stress of facilitating an unplanned arrival. I, on the other hand, from my naive perspective, immediately thought it was a miracle. 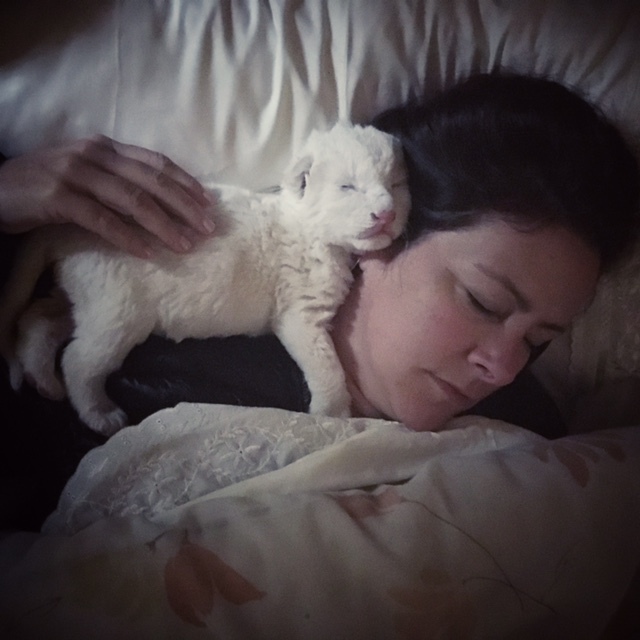 She was the first white lion cub born in Zimbabwe and I couldn’t help think that this could be a positive, uplifting event in a time where things are hard for a lot of local people. We spent the afternoon observing the cub with her parents. The handlers were assessing the parents’ behavior and watching the cub’s every action. I was glued to my camera, taking hundreds of pictures in hopes of providing proof of the miracle cub’s arrival. She was tiny compared to her parents and it was amazing to witness the first few hours of her life. I felt privileged to watch an event that very few people get to see. It’s not uncommon that first-time lion mothers don’t always accept the cubs and often the male will kill one or more of the litter. Survival rates in the wild are surprisingly lower than you would think. Unfortunately, for this baby girl, she had to be removed from her enclosure after her mother showed little interest in nursing her and left her out in the middle of the yard unattended at night in the cold of winter. It was a tough decision to remove the cub from her parents but the likelihood that she would not be alive in the morning if left alone was high. It didn’t come without hours and hours of discussion and debate, but in the end, Ant seemed to take this turn of events in stride. It wasn’t ideal by any stretch of the imagination but he had raised many lion cubs that were happily living out their adulthood in the park. When he walked out of the enclosure with the cub, he calmly handed her to me, I wrapped her in a towel, put her underneath my jacket and we went home. I’ve actually taken care of lion cubs before on a previous volunteer trip and had made lots of baby cub milk, so I wasn’t uncomfortable with handling or feeding her. I was truly excited that I was going to spend my second night in Zimbabwe with a lion cub. I had no problem being on all night baby patrol. She was a beautiful white ball of fur with miniature lion features including a set of claws about the size of a full-grown house cat. Although her eyes would remain closed for the first week, she possessed a strong will and amazing vocalizations. As I sat on Ant’s couch, in the stillness of the night, half empty milk bottle in hand watching her sleeping on my chest, my heart melted and I knew I was in love with this amazing little miracle. Sometimes when you fall, you fall hard. That was me. I didn’t really plan for it to happen, she wasn’t even my lion, she was Ant’s. People say love makes you do stupid things, crazy things. Over the next few days I plotted my return to see her, and how I might be able to stay in Zimbabwe a little longer. I don’t think anything is more fun than a three-month-old lion cub! By month three, I would find myself in London for business and that was almost half way back to Zim. I think it was pretty obvious how much I liked taking care of her and Ant humored me. By this time our trip had been delayed again and so I enjoyed the time I had feeding her and watching her sleep, which is pretty much what all babies (of any kind) do. She visibly grew each day, her vocalizations grew stronger, and she started walking better. She snuggled up to my side each night. The day before we left she started to open her tiny blue eyes. By this time I had made many bottles of milk, and spent many hours holding her. Every hour I think I loved her more. By our sixth day, we packed our backs to head out to dehorn the rhinos. I handed her care off to another park manager that would be looking after her until we returned. I have to admit, I didn’t want to go. I would have rather stayed with her, but I had made a commitment, and so I drove away knowing she had a fresh milk bottle on the counter and was wrapped warm in her box. During the rhino trip Ant received a call that she was sick. She had been acting lethargic and they were taking her to see a very good local vet. By the end of the day she had died. I was truly surprised. In my mind it never occurred to me that she wouldn’t grow up to be a beautiful lioness. Tears streamed down my face as I sat in Ant’s truck in the middle of Kyle National Park. It took everything I had to retain my composure and finish my work. Later that night after returning back to camp, I sat by the lake watching the sunset and cried. I was completely heartbroken. I haven’t been able to even look at her pictures until today and even now as I write this blog tears stream down my face. We found out today that the necropsy revealed a congenital heart defect. She had a hole her heart, and now so do I. Despite her death, I am grateful for the time I got to spend with her. It was an incredible experience. I will always remember her and be thankful to Ant for letting me spend those precious few days with her. I hope to work more with lions and big cats in the future. I admire their beauty and strength. They are truly amazing animals.